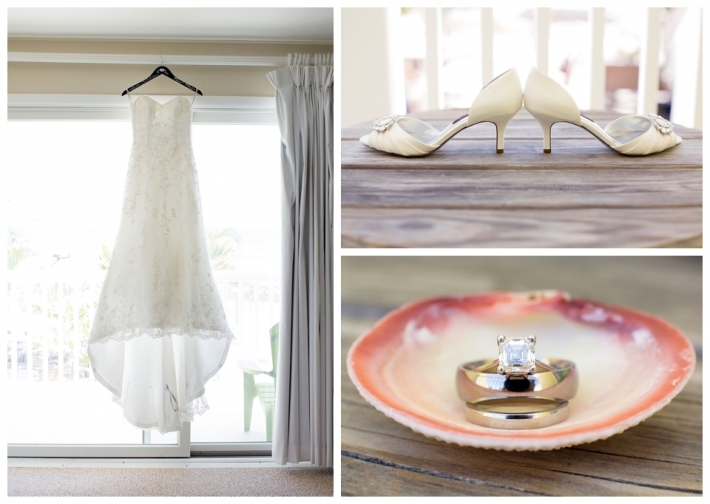 They were married in blazing sunshine on the beach at the Seashell Resort & Beach Club on Long Beach Island, which looks like someone plunked a piece of Polynesian paradise in the middle of the Jersey shore. (I didn’t mean for that sentence to have so many P’s!) 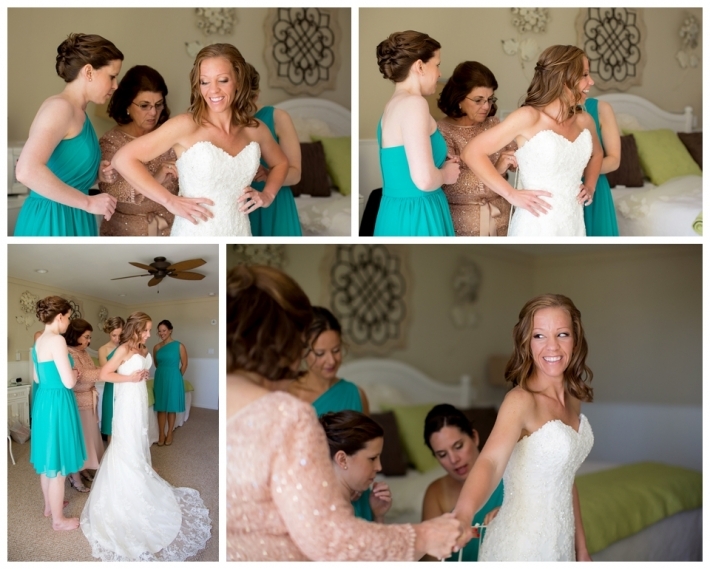 They opted to do a first look before the ceremony, and the instant they saw each other, they just….relaxed. It was like the wedding jitters disappeared and were replaced by calm and happy vibes. Also, their entire wedding party was laid-back and so easy to work with — always a bonus! But you’re here for the photos, right? So, on to the photos! 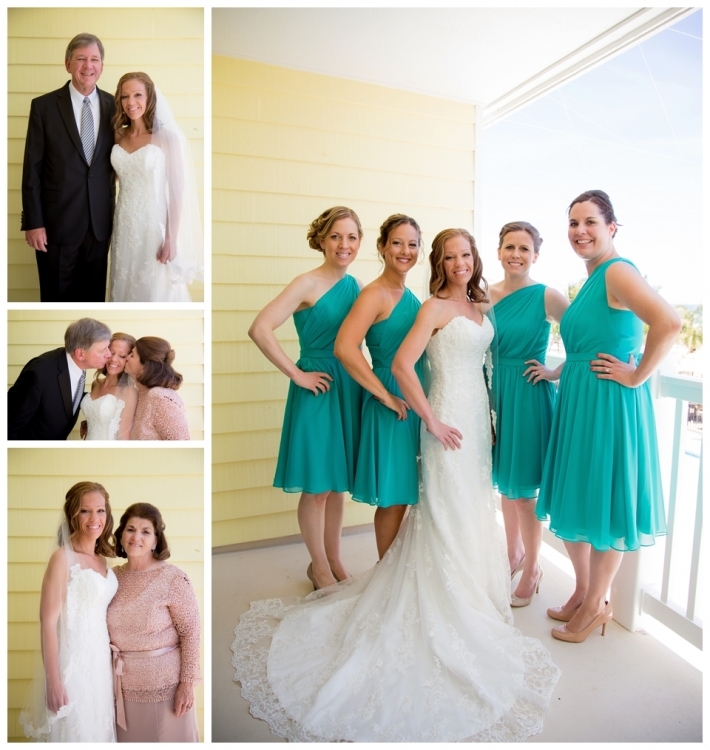 Donna got ready in the Seashell’s gorgeous bridal suite, alongside her mom, dad, and maids…. Meanwhile, my second shooter Crystal was spending some QT with the guys… Once everyone was ready, we headed to the beach for Donna and Andy’s first look, followed by some portraits on the beach and around the island. Then it was time to make it official! We snuck out for a few minutes during the reception because the sky over the ocean was looking pretty magical. …and then it was time to party! Donna and Andy, thanks for choosing me to capture your wedding day! I hope you both (yes, even Andy ) love the photos!